The following frequently asked questions are provided to give you an idea of the types of questions that are on people's minds when they look into doing spiritual healing work. Take a moment to look through these and then click the links to read the answers towards the bottom of the page. How Do I Determine What is Best For Me? Do You Have Any Recommendations? What is Spiritual or Energy Healing and Why Does it Work? 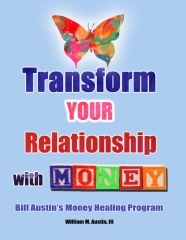 How Can Spiritual Healers Like Bill Austin Help Me? How Does Distant Energy Healing Work? What Are the Benefits From Spiritual Healing and Energy Work? What Causes Pain and Imbalances to Occur? 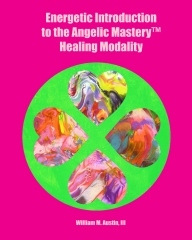 There Seems to Be a Lot of Overlap Between Practical Mastery and Angelic Mastery Healing Sessions. Which One Is Best For Me? Is There a Difference Between Sessions That Are Transmitted to Me By You Personally or Ones That I Receive From Listening to An Audio Recording or Watching a Video? Do I Need to Do Anything When You Are Transmitting an Energy Healing Session to Me? Which Sessions, Programs and Products Can Best Help Me? I have been offering energy healing services and products since 2000 and this site contains many resources that can help you in your path. Listed below are some of my suggested recommendations for sessions. Many of my clients have some very basic questions about what is energy healing and why does it work. Basically from my perspective, everything is energy with a certain vibration and frequency. When we are born, all of our systems, organs and energy fields vibrate at the level of unconditional love which is optimal for physical health and well-being. After birth, however, we begin to absorb the negative beliefs of our family and society and to block the natural flow of emotions through our consciousness. This creates an imbalance in our energy fields and their frequency or vibration level drops and eventually this creates physical problems, disease, stress and discomfort. While most of Western science focuses on the symptoms or effects of energetic imbalances, energy healing addresses the root cause of disease, stress and discomfort. Often it is quicker to clear things energetically than through more traditional healing modalities. Energy healers are really facilitators and channels for divine healing energy. All healing originates from Father/Mother God and the soul of the client. Healers help their clients to co-create an energetic space that is conducive to healing. Each person is really responsible on the soul level for his or her own healing and if their souls are not ready to heal, usually a permanent healing will not occur. Often there are many energetic causes and weaknesses associated with an illness or disease and so it is not uncommon for someone to heal and clear a lot but they may not feel different because they are not ready to release the next level or layer of the pattern. By the time problems manifest in the physical plane often it took years to create them so it is natural that it will take some time to heal them as well. Many energy healers channel energy through their hands and work with clients usually doing some form of body work. Other energy healers work with clients distantly or via phone. I am a distant energy healer and when I am working with clients, I interact with them at the soul level ? communicating from my soul to theirs. Distant healing works because our souls are unlimited and function from unity consciousness (realizing that all is one with God) so it is easy for them to communicate with each other and to transfer and receive healing energy. One of the great things about distant energy healing is that you do not have to do anything at all ? your soul does everything for you! As soon as the soul I am working with receives the energy, it looks at where the person is energetically and then downloads the appropriate amount of healing energy to the physical, emotional and mental levels of consciousness. Sometimes the soul will hold on to the energy and not transmit it immediately if the illness or imbalance or disease is serving the highest good of the client in some manner energetically. In fact, most say they feel like a new person, or like the person they always hoped they could be. Each person is unique and has an unique experience. Please check out my Testimonials page for more information about how working with me has helped others. In many ways our bodies function as computers with the operating system being run from the central nervous system. There are billions if not trillions of programs running all of the time. It is like a series of on-off switches where on means you are energetically strong and off is when you are energetically weak. In an energy healing session often what happens is that a series of switches in the client?s central nervous system are switched from being off to being on. The challenge for energy healers is identifying all of the areas that are off so they can assist their clients to turn them on. It fascinates me but I have found that over the years that clients tend to gravitate toward one or the other. 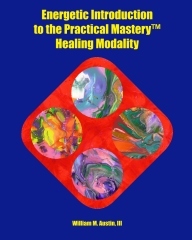 Although, outwardly there appears to be a lot of overlap each healing modality I create approaches healing from a different angle. I created all of these sessions to help me to heal myself more deeply and then some of these things I release to help others as well. The people who are drawn to my work tend to be much more sensitive to energy than most of the population so it is not surprising that some resonate with different things. When I created the video and audio transmissions, I wanted to provide a more cost effective way for people to receive healing energies from me. I hand-selected the most powerful, universal healing and enlightenment work I do on audio and video recordings. The only difference I feel there to be is that it is cheaper to order the recordings and you have more control as to when you listen to them. Also you have the recording to listen again to in the future. NO. However, after a session, I do encourage you to drink lots of water to help your body to release toxins and often you may need to get more sleep or rest. As always, the best thing is to go within and feel what resonates with you. What feels good or what opens your heart. That being said when people ask me what is best. For people who want to enhance the quality of their lives, the Daily Support Program is a great option. For people who want to attract more money into their life, well usually the Money Healing Program is a good place to start. For people on a spiritual path who want to accelerate their spiritual evolution and healing, the Self Directed Healing Program is a good choice. For healers and light workers who want a tool to help themselves and others, the Universal Clearing Profile is amazing. I feel that a lot of clearing has taken place and my emotional body has been healed. The Crystalline Rainbow Reiki? feels very light, pure and soothing.